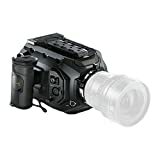 The compact URSA Mini camera with EF lens mount, 4K Super 35 image sensor and global shutter is lightweight and perfectly balanced for handheld use and comfortable enough for all day shooting. URSA Mini 4K EF features professional 12G-SDI connections, 5″ fold out touchscreen monitor and side grip with camera control functions as well as dual CFast card recorders, built in stereo microphones and more. 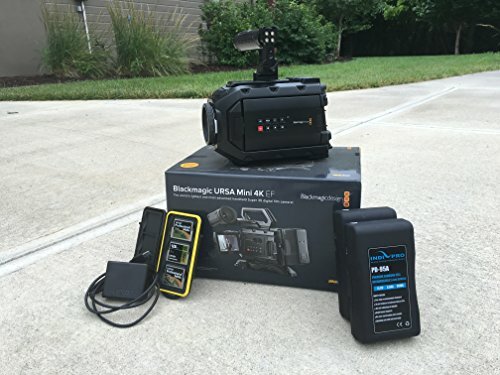 Blackmagic URSA Mini is designed to be used on feature films, television shows, commercials, indies, documentaries, music videos and more. The stunning quality of its 4K sensor lets you capture epic cinematic shots, while its compact size is perfect for solo shoots or smaller crews! You can easily customize URSA Mini with high quality cinema lenses, rails, matte boxes and more. The optional shoulder mount kit features a quick release mounting plate so you can go from handheld to shoulder or tripod in seconds, making it perfect for pickup and run shooting situations. It’s the handheld Super 35mm digital film camera that you can use anywhere and, because it’s an URSA, everything you need is built right in. EF lens mount and 4K Super 35 sensor.